It may be surprising to know that it is not celebrated in all of Mexico. It is considered a regular holiday, and the Mexicans themselves would probably be surprised at the extent of celebrations outside of the country where it originated. It is a regional celebration, with the biggest celebration held in Puebla state. After all, this is the birthplace of the celebration. Here, it is known as El Dia de la Batalla de Puebla, or The Day of the Battle of Puebla. It is in the US that the holiday has come to a life of its own, with many boisterous celebrations commemorating the day. In the US, it is celebrated all over the country. Given the country’s large Mexican-American population, it’s no surprise that this day is given much importance. Major cities across the country have their own celebrations of the holiday. Most people don’t realize that Cinco de Mayo is owed partly to the French. If they had not tried to invade Mexico, there would be no battle to commemorate. Mexico gained its much sought after independence from the Spanish crown in 1821. Mexico was occupied by the French soon after several wars involving Mexico, such as the Mexican-American War in 1846 to 1848, the Mexican Civil War and the Reform Wars of 1860. The economic toll the consecutive wars cost the country much and depleted the national coffers and thereby compelled the leaders of Mexico to stop payments of foreign debt. This of course, was not well-received by the Europeans and so France, Spain, and Britain sent troops to Mexico to demand payment. However, France, under Napoleon III, wanted to set up a Latin Empire and call it “Second Mexican Empire.” The French wanted to take advantage of the opportunity to take over Mexico using the debt payment issue as an excuse to send troops to the country. Upon learning of the French’s underlying reasons, the British and Spanish governments later withdrew. However, other nations, especially the United States, were unable to help Mexico with its problems at this time, leaving the people to fend for themselves. The French arrived at the country’s gulf coast along Veracruz, and proceeded to make their way to Mexico City. However, the Mexicans, protective of their newfound independence from the Spaniards put up near Puebla a solid resistance. With a small army comprising 4,500 men, the Mexicans defeated the French army consisting of well-armed 6,500 soldiers. This is an amazing victory because not only were the Mexicans outnumbered, they were also not as well armed as their French counterparts. The victory of the Mexican troops over the French was led by General Ignacio Zaragoa Seguin. 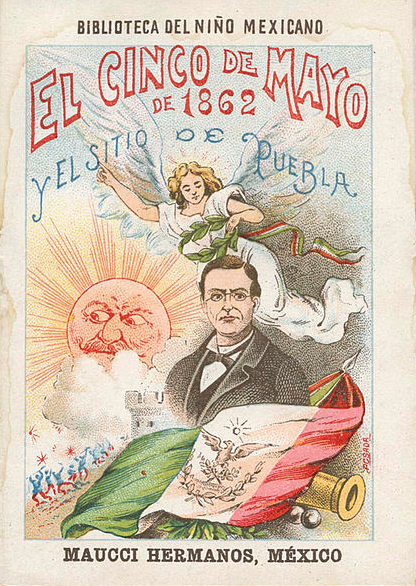 The surprise victory happed on May 5, 1862 and has since then become a source of pride for the Mexican people. Although the French eventually briefly ruled Mexico (1864-1867), Cinco de Mayo has come to symbolize the bravery of the Mexican people. Cinco de Mayo celebrations were brought over by the Mexican residents in the US. Specifically, the Mexicans living in California at the time of the American Civil War are believed to be the ones to first celebrate the holiday in the country back in 1863. It has become a day to celebrate the food, culture, music and customs of Mexico. Mariachi bands play in street celebrations. 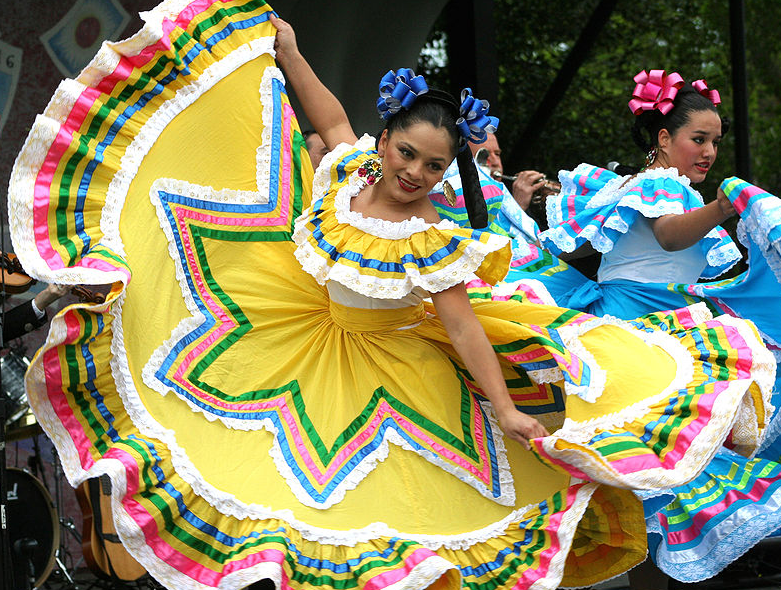 Festivals celebrating Cinco de Mayo are some of the best opportunities to see men and women dressed in traditional costumes, men wearing their sombreros and to participate in some of the best salsa dancing! Of course, there is a never ending supply of beer, best served with a variety of Mexican dishes such as tacos, burritos, carnitas, salsa, mole, chilies, cocido, empanada, enchiladas, flautas and gorditas. The holiday became commercialized in the 1980s, thanks to companies that had a vested interest in capitalizing on the holiday. In particular, beer companies started to sponsor Cinco de Mayo-related events to push their products. The strategy worked, and now, it is a widely held celebration across the country, much like St. Patrick’s Day of the Irish. A 2005 US congress declaration has officially proclaimed the holiday as one to be celebrated in the country. There are more than 150 official celebrations in the country, spread over 21 states. Today, there are various concerts, parades, and other Cinco de Mayo celebrations held in the country. These are immensely popular in cities in towns with a large Mexican demographic, especially in the states of California, Florida, Texas and Arizona, and in the cities of Los Angeles, San Francisco, Laredo, El Paso, Haleah, Miami, Tucson and Phoenix. Even non-Latinos have come to celebrate Cinco de Mayo. This is to show the extent of the influence of the Mexican American heritage in the country. Now, everything Hispanic is being celebrated during Cinco de Mayo, so that the Mexican holiday has become a celebration of all things Latino.